CASUAL ELEGANCE AT IT&apos;S FINEST! STUNNING ST. ANDREWS PLAN WITH OVER 3350 SQUARE FEET OF QUALITY & STYLE, LOCATED IN POPULAR "CAREFREE LIFESTYLE" COMMUNITY WITH LAWN MAINTENANCE! 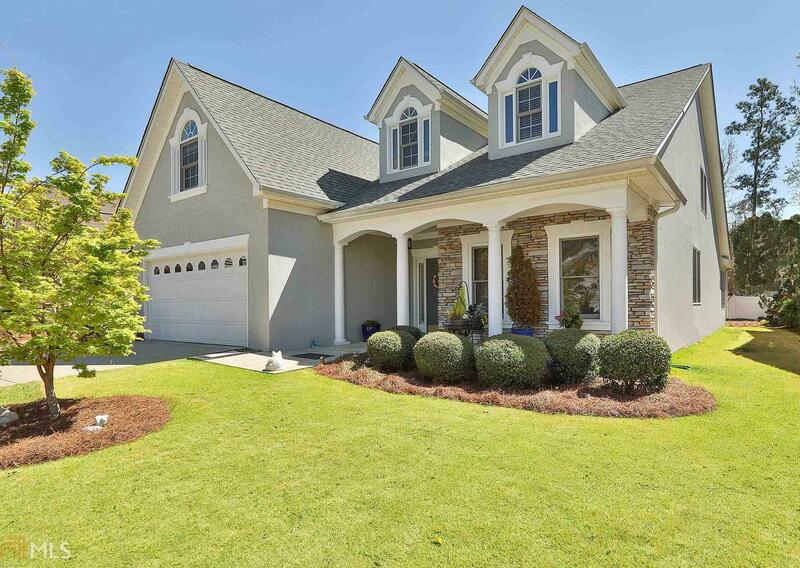 Dynamite open plan is perfect for entertaining with a spectacular 2 story foyer, gorgeous "great room," exec office w/rich judges paneling, formal dining & lovely vaulted sunroom! Chef&apos;s kitchen equipped with Corian counters, serving island + upscale appliances including double ovens, convection microwave, smooth cook top and dishwasher! Exquisite extended owner&apos;s retreat with large sitting area on main level, romantic fireplace, spa bath and 2 walk-in closets w/organizer shelving! Generous guest rooms upstairs + gigantic bonus/rec room upstairs! Lush private rear yard too! WOW! Directions: From Intersection Hwy 74 And Hwy 54, Take Hwy 54 East (Toward Fayetteville), Left Into Lexington, Bear Left For Street, Home Is On The Right***thanks For Showing!